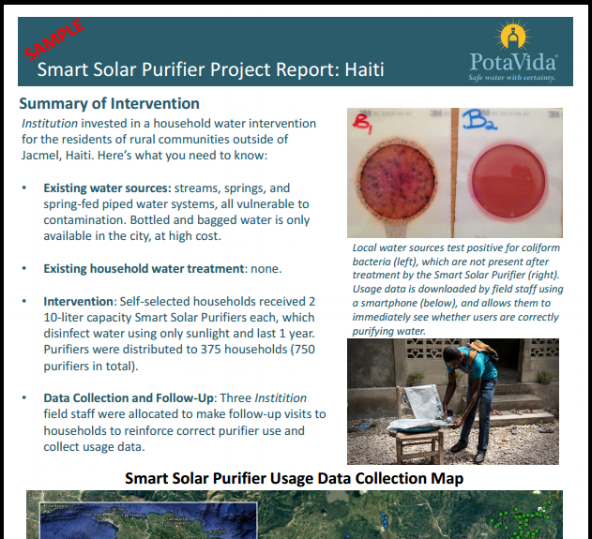 PotaVida’s Smart Solar Purifier is a solar powered water purifier for disaster relief and refugee contexts. 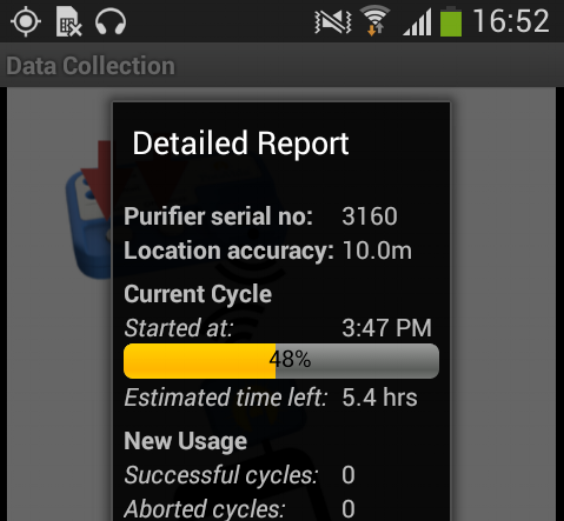 In addition to providing safe drinking water at a dramatically lower cost, every Smart Solar Purifier records its own usage data. These data are downloaded to mobile devices to provide instantaneous feedback in the field, and are also synced to the cloud, analyzed at the program level, and sent to decision makers. Our mobile report for staff and mangement, also shows staff activity, transforming field staff management.